When General Peron was ousted during the 1955 coup more than just Argentina was in trouble as tango too was thrown into the Dark Age. The military government that took over was predominantly upper class and since they did not understand, tango did not dance it either. Tango had to go since it was both popular ad national, two things that Peron also was. Since Peron also used tango and its artists in political situations, many tango artists were backlisted or imprisoned by the regime. They could no dare to get together to dance, as it would have been seen as political agitation and not simply to dance. Dancing socially was illegal as there was a time that people were not allowed to have gatherings larger than three and night-time activities, which included specifically tango was at danger. 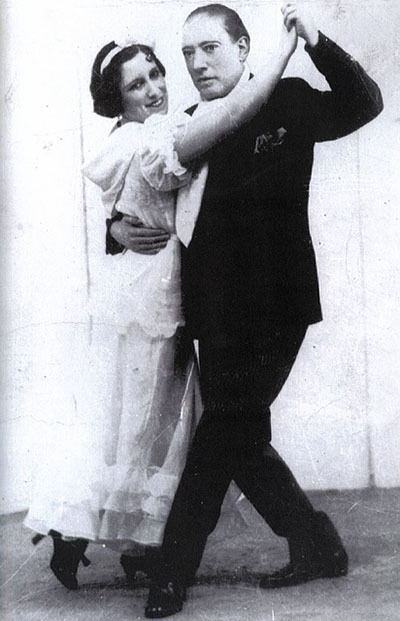 It is therefore quite sad that between the 1955 coup of Argentina and until the fall of the new regime after the Falklands War in 1983 nobody did do the tango and certainly no new dancers learnt to do the tango. Even so did tango not disappear altogether, as we well know today, it was pushed underground. In the face of clampdowns and curfews on public gatherings even tango music started developing concert-hall tradition and thus removed from the dance itself with all tango clubs forced to close their doors. Tango only resurfaced with the younger generation during the mid-eighties in Argentina while Paris followed suit with a Tango Argentina debut in the form of a large stage production touring the country and the world woke up yet again to this magnificent dance. The world was enraptured yet again by the exotic music and dance that started in Buenos Aires and its smouldering and exotic passion. It was the start of a new generation of tango musicians, tango teachers and dancers, which continue today.